Beverley Gilmour: If you said, “Why have you been having them?” I’d say it’s about our evolution; it’s about learning and every now and then we get these odd cases like mine thrown in, and it gives science, it gives the medical profession, it gives us all an ability to look deep into something that interests us and that might have answers, and spiritually, one of the things that I often hear, if you don’t believe that an NDE is a real event and you say it’s caused by false memories or illusions, I can say, without any hesitation, that’s absolutely not the case. 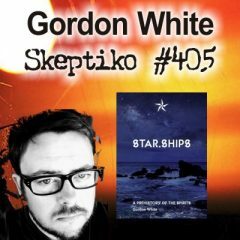 Alex Tsakiris: Today we welcome Beverley Gilmour to Skeptiko. Beverley is the author of A Journey of Actual-Death Experiences – Who Am I? The New Divine Teachings of Jesus, A book in which she explores human consciousness and her understanding of it from, amazingly, 30 years of more or less continuous near-death and after-death experiences. 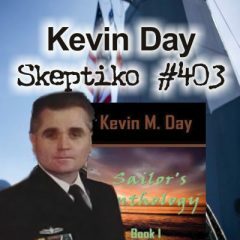 It’s really quite an amazing account and I’ve just expressed to Beverley [that] I have all sorts of skepticism but at the same time am anticipating some of the really remarkable things she’s discovered in this medical and spiritual journey she’s been on. 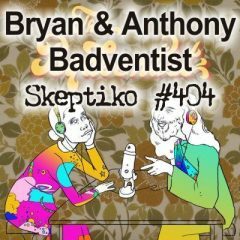 So Beverley, it’s awesome to have you on Skeptiko; thanks so much for joining me. Beverley Gilmour: It’s great being here. Thank you for having me here. Alex Tsakiris: So, as we were just talking, you’ve been at this for a while — that’s not even the right way to say it. You really have to kind of start, I think, with your story because it’s a unique medical story, in terms of your experiences with what we’ve come to know as near-death experiences. But as they kind of manifest in you, it’s kind of even more of a medical mystery. Can you start just by, kind of, telling your story? Alex Tsakiris: So let me interject right there because even that,… We have to say what it is that happened to you, how it physically felt. And then that first point is really important, that when it first happened you just were completely unaware of what was going on. So what was it like, the first couple of times this happened. What, physically, did you feel? Beverley Gilmour: I basically felt, the very first times it happened is my… the very first time just my head came out of my body, that was all. And so I didn’t sort of like… I didn’t even know what a near-death experience was anyway, but I didn’t really understand; I just thought I was dreaming. Then a few nights later I was able to sit up and I noticed that my legs were stuck, I couldn’t move my legs, I could turn myself around but I couldn’t move my legs. Alex Tsakiris: So this is it, at nighttime you’re going to bed…? Beverley Gilmour: Not only at nighttime, it never happens… it happens when I actually go to bed. If I go to bed during the day it could happen, but it only happens when I’m in that state of complete rest. Alex Tsakiris: So, just let me probe that a tiny bit further. Is it deep in kind of a REM cycle? Is it early in that kind of hypnagogic state when we’re first falling asleep? When does it occur? A lot of people have associated that with astral projection [or] out-of-body experiences. Is it that, is it something different? Medically you’ve kind of looked into it; what’s going on there? Beverley Gilmour: Well, what actually goes on, it happens straight away, as soon as I actually… you know, when I’m going to have one, I’ll be lying down and I can sense this is happening, because it’s sort of like I go into a very, very deep sleep. But then I pass that stage and it’s like I suddenly become aware of everything and I’m telling my body to move. I’m instructing it to actually move and I can see what’s going on around in the room, but I know my eyes are shut and then I actually feel myself rising upwards and that’s when I’m actually coming out of my body. What it turns out is — now that I’m being treated by my doctors — is that first of all, what happens is I go unconscious. So this [has] something to do with the brain; I actually go unconscious, and then that affects my heartbeat and then my heartbeat slows down until it becomes nil and then as that happens it affects the breathing. Therefore the next thing that happens is my brain starts shutting down. So it’s all connected, it’s like a cycle, it all happens [spontaneously] from each other, and then I actually move my body and that’s actually the passing over. So, I have no connection to the physical body at all, but I can see myself lying there. Alex Tsakiris: So Beverley, one more medical question here. You said your heartbeat goes to nil, is this something your doctors have verified or even someone around you has verified — that your heartbeat is very faint or medically they’d have to kind of hook you up to an EKG or something and say you have no heartbeat. What are you saying medically when you say that? Beverley Gilmour: It stops, I mean it just stops, it stops beating. Alex Tsakiris: And how do you know that? Beverley Gilmour: Well, I can feel it, but apart from that the people around me who have actually witnessed it, they actually see me go into this state, where I’m not responsive at all,. In 1989 they actually stopped when I got pregnant, okay? Which is something I’d like to look into more, and then on the eighth month of the pregnancy I had one and I got really upset, because I didn’t know, you know, had it damaged my baby? I ended up in hospital and I flatlined on the machines and the gynecologist and the doctors… they actually induced Oliver eight weeks early in case I had another one. So that was the first time I came to the medical attention; [it] was 1989. Alex Tsakiris: So Beverley, at that time, when you were in the hospital and they say you flatlined, were you outside of your body at that time, witnessing it? Beverley Gilmour: Yeah I was. Luckily I was hooked up to monitors because they were monitoring the baby, so I was hooked up to heartbeat monitors and everything. Alex Tsakiris: What did you think as you were observing that outside, and then also a related question, did that feel similar to these other experiences, where you can say, “I was flatlined there, so I probably was flatlined other times,” or did it feel somewhat different than at other times? Beverley Gilmour: No, exactly the same. The awareness was the same, it was exactly the same; it’s not been any different from the beginning. The only difference, in the very beginning, were those first three times when I didn’t come out of my body completely, and then about the fourth time I actually came straight out. And since then I was always just straight out, you know, as soon as the heartbeat stopped, as soon as the brain started shutting down, the breathing stopped, I came straight out. Alex Tsakiris: And how long will these periods go when you are medically, clinically dead, how long in our time will that last? But the length of time is, the longer it takes me to recover, I would say I’ve gone longer then. Because obviously I can’t just sit up after an experience, you know. I’m trying to absorb everything and trying to reconnect with my body. Alex Tsakiris: I imagine it’s physically draining as well. Hey, as long as we have Oliver there, who’s your son as you just mentioned, Oliver have you ever witnessed directly Beverley doing this kind of re-entry, self-resuscitation when she’s been in this condition? Oliver: Yeah, I’ve witnessed it many times and sometimes you have to restrain because the force is so powerful, you know, she could easily hurt herself. She could fall out of bed, and she could hit her head. So sometimes you have to sit by her and make sure that when she is coming back she isn’t going to harm herself physically, you know? Alex Tsakiris: I want to persist a little bit further with his because it’s just of great interest to me; so the ‘Who Am I?’ teaching is awesome, it’s somewhat universal, it’s through a lot of wisdom, traditions, as is the teaching of truth, of seeking the truth, of being the truth, all that, also kind of universal. 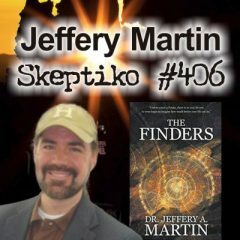 Both those fit in with the research I’m going to continually point to again and again in this show of Dr. Jeff Long, because he’s the first near-death experience researcher who was brave enough to kind of look past the basic evidence that suggests, as you pointed out, that these experiences are real, they’re a medical mystery, and the only conclusion we can draw from them, medically, scientifically, is that consciousness somehow and in some way we don’t understand, extends beyond bodily death. 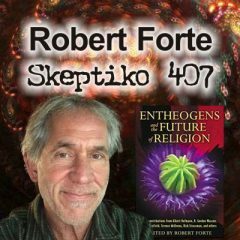 That’s the conclusion of virtually every… not virtually, every near-death experiencer I know who’s actually studied the phenomena. So there’s one, that’s the physical part, what I like about Dr. Long is then he’s gone one step further and said, “Okay, now that we’ve established that, it’s fair to start looking at the content and start understanding these experiences in the aggregate, in the whole, in terms of what people are getting,” and his finding doesn’t support the idea, you know, Jesus is the son of God, there’s one path, it’s Jesus, this is it, that doesn’t really come through. When you look at some experiences, some people experience that, if that’s what they’re meant to experience, if that’s how the teaching needs to come through to them, that’s what they experience, but people of other religious traditions or spiritual traditions get kind of the same message, they just get it in a different way. And that last part, let me add in, because I want to be kind of precise, that was kind of my interpretation of it — but it’s been the interpretation of many people — is that it seems like, in this extended consciousness realm, it’s kind of an ‘as below, so above’ kind of thing. So the way we learn things, the way we understand them, inside of a cultural narrative that we’re already familiar with, is how they’re delivered to us in this extended realm as well. So, the question then, through all that, is [this]: do you think that this experience and this Jesus thing is exclusive, do you think everyone’s going through that path, or eventually we’ll go through that path, or do you think it is this kind of polarity of different spiritual paths that many near-death experience people might be experiencing in different ways? I’m not looking to lead you in that, I’d just like your best guess based on what you’ve experienced. Beverley Gilmour: Well I can only answer it that way obviously. From what I saw, from what I learned, it’s something that everyone will eventually go through. I mean, I saw my own father, who passed away in ’82, he was an alcoholic when he was alive, and he didn’t believe in Jesus but I saw him in the presence of Jesus. So that’s kind of like, he was there, I was there and he acknowledge the presence of Jesus and that was quite surprising because, as I said, I’d never even heard him speak the name Jesus when I was growing up. So, I think I’m trying to answer the… you know, for me to see my father in the presence, and was going through some kind of, ‘who am I learning from’? Because that very first one I was talking to you about, you know, the one where he said, “Learn to do as you’re told Beverley,” and that was it. I actually only met my dad three times in the whole 30 years — which I wish I had met him a lot more — but obviously it wasn’t to be, but in a later one he actually told me that what he was doing that first time around was he was learning that his parental skills towards me, when he was alive, wasn’t in my best interest and that he should have been a more disciplined parent rather than just trying to be best friends, kind of thing, because my dad never gave me discipline you see. So I could understand why he said, “Learn to do as you’re told,” but the answer didn’t come until seven years later, but at least I understood then, that’s why he said it. Do you see where I’m coming from? Beverley Gilmour: Yeah, yeah? So for him to be there in the presence when Jesus was there, he’s gone from me, he’s having this one to one journey with him and the same goes when my nan passed over and actually my late husband, when he passed over, and that again is another interesting part, because it was quite a messy divorce and we hadn’t spoken to each other in 15 years. It was really bad Alex, and yet he had this NDE, you know, my ex-husband, and he actually stepped forward and he was standing with Jesus and he actually said to me, “Become healthier.” At the time I was terrible. I used to still smoke, which I was shown not to, and he told me to stop smoking. Now, when I came out of that, I actually was so emotional, because here we are as two intelligent people, not speaking to each other when we had this life, and here he was —now he’s passed over and all had to say to me were words of love. You know, because that was a loving message; he wanted the best for me, he wanted me to improve my life. I’ll forever be grateful to him for that and we’re now friends, we are actually now friends. So it just goes to show you, and I never heard my ex-husband speak about Jesus when he was alive either. So is it [unintelligible] you? I hope it is. Alex Tsakiris: What I’ve heard is, the first part, I’ve heard that many, many times, is that this evil thing that we do is really a confusion part, it’s a lost part, it’s ‘as above, so below, as below, so above’, you know, you can see all the evil in this world, you don’t think that that extends? What are you thinking, it all changes, immediately transforms? No it doesn’t, it extends, and then I’ve also heard, as you’ve suggested, that it has a tendency to maybe kind of coagulate if you will, so the evil seeks evil and is drawn to evil for the same bad reasons that it might be in this realm. But, what I’ve also heard is that the light is what it’s really all about, everything’s going to the light and any evil being at any time can look up and look to the light and go to the light and be transformed through the light. And now I’m starting to sound really spiritual in a way that I don’t have any direct experience with, but I’m just recounting what I’ve heard. So, is that consistent with what you’ve heard, because that kind of paints a different picture of the evil, that it’s all under God’s, you know, all under God’s light umbrella; they’re just kind of hiding over there in the corner, and for as long as they want to do that, that’s their business, but they’ll all have to go to the light eventually. What do you think about that kind of idea? Beverley Gilmour: Yeah, I actually, totally believe you have to go to the light eventually, but there’s no, sort of like, not everyone wants to be a nice person. There’s just a few amongst us — well quite a few amongst us — where we live our lives with hate and we kill people, we avenge people, we don’t have a consciousness and it’s all about the conscious, the conscious side of it, the spiritual brain. If you don’t teach yourself the values between good and bad, then when you pass over, you don’t seem to be able to understand those questions that you’re being asked about your truth; you seem to be retaliating from them all the time. But to me, eventually they will come forward. I saw one or two NDEs, where I actually was pointing to the light and I was directing a spiritual entity to go to the light and seek forgiveness, to go to the light alone and that was an interesting one as well. Alex Tsakiris: So you were directed to try and help this spirit that was not able to go to the light, is that what you’re saying? 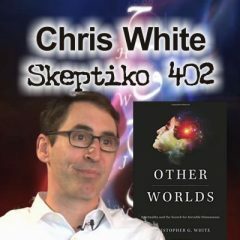 Alex Tsakiris: It does seem to me from investigating this stuff, is that everyone has a unique experience with this higher consciousness, and that’s kind of the fundamental thing that you’re trying to bring forward, is that we’re constantly in communication with this higher consciousness, whether we’re aware of it or not. I wonder and worry that we become too literal in interpreting our unique experience with that, as somehow being universally true and I’ve seen that over and over again with people who have that experience and then they have that experience and then they saw whoever they saw, they saw Jesus or they saw Buddha or they saw some great being from the past, and they then extrapolate that out and say that that is somehow real, unique and not only real and unique to them, which I can accept, but somehow universal, and a message that everyone needs to get. I’m just less sure about that, because if I just step back and say, “Well gee Beverley, there’s a dozen, dozen, dozens of people that I can point you to right now, who have had similar kinds of out-of-body experiences or channeled experiences or near-death experiences, with some sort of ‘divine intelligence’ and what they’ve told us, coming back is, in some sense consistent with what you’re saying but in other ways not at all consistent with what you’re saying. So that’s the challenge I think we face, that I face, in trying to understand this, and I guess the main question I had is, do you feel me there, are you sensitive to what I’m saying? Because there’s a lot of different stuff out there, do you think you have the answer? Beverley Gilmour: I think that my case was unique and I think it set me off as a controversial slant on near-death experiences and I think that’s quite important because I think we don’t explore near-death experiences to the best of our ability, because from what I have learned, it’s not just the nice experiences, you know, he is love and everything else is important, it’s important that we learn about the consciousness, it’s important that we learn we have the higher consciousness, it’s important to try and access the higher consciousness, so that we can bring some healing to this world, you know, not just, “Oh, I had this experience and this happened and I changed my life.” How about let’s try to group these together and let’s look at them and say, “What is the reason that we’re being given this insight?” You know, there has to be a bigger reason and that has to be shown towards the world rather than just to an individual’s life, society. You know, because we are messing it up pretty bad at the moment Alex. 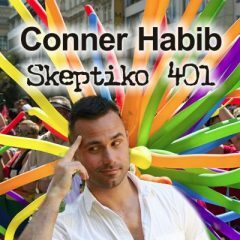 Alex Tsakiris: Beverley, do you think we are at a unique and special time in history? Beverley Gilmour: Yeah I do. 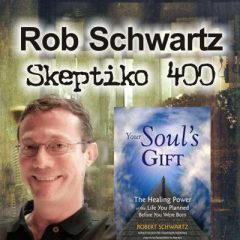 I think we’re about to enter into spiritual awareness, a spiritual awakening and I think if you bring those people together to appoint… I even put it out there and I’ve got no proof about this by the way, but I do put it out there, that scientists might find more information about the reason that certain people have an NDE and come back and certain people don’t. It might be in our DNA. I mean, can you imagine? The reason I actually say this is because, without trying to sound thingy but, if we found something in our DNA as to why some people’s brain cells might last longer and recover quicker, could you imagine, that could actually change how we’re looking at cell deterioration illnesses? 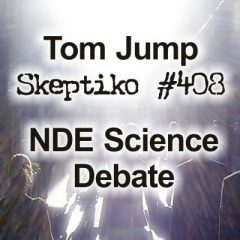 So there’s more about NDEs than meets the eye, they’re not just a nice spiritual experience; they are, to me, world changing and they’re life changing and that’s what we need to start looking at, and I think scientists should do their part as well, not just psychologists but scientists as well.